Eggs are a pure and beneficial terroir product that undergo neither treatment nor transformation. Swiss people check the origin of their eggs more than of any other product, which guarantees a bright future to Vaudois hens! Eggs are used in many pastries, desserts and savoury recipes. People like them scrambled for breakfast or as omelettes with cheese, ham and herbs for supper. 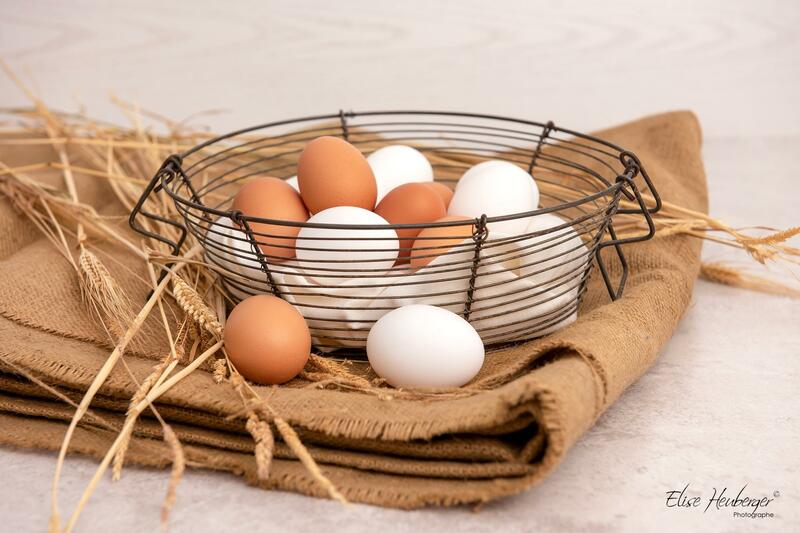 Eggs are part of our daily lives and provide many nutrients such as protein, calcium, iron and 12 remarkable vitamins. The Swiss are fond of eggs but also concerned by the fate of the animals that provide them. Thus, Switzerland was the first country in the world to prohibit battery hens. To encourage these criteria of quality, the majority of Swiss people only buy Swiss eggs. In the canton of Vaud, hens - be they raised for their eggs or meat - are the most frequent animal in our farms, representing almost 1 million animals. By laying one egg a day each, they easily provide the markets, direct sales points, specialised shops and supermarkets.